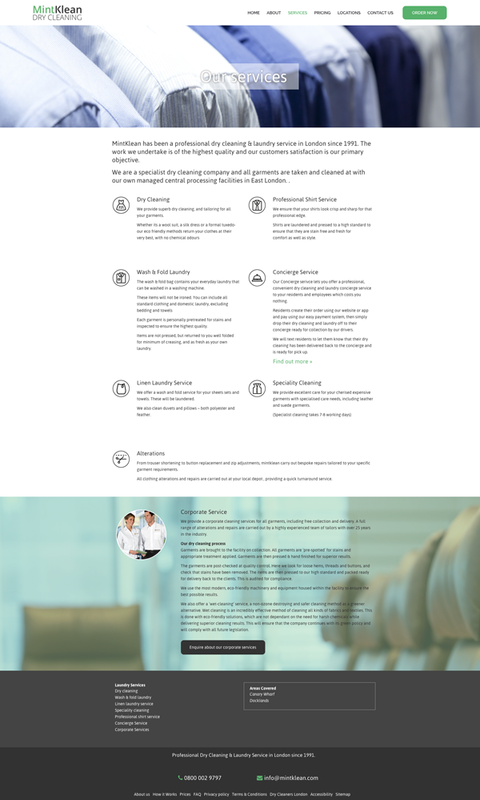 Here is a side by side comparison of the homepage before and after I redesigned it. 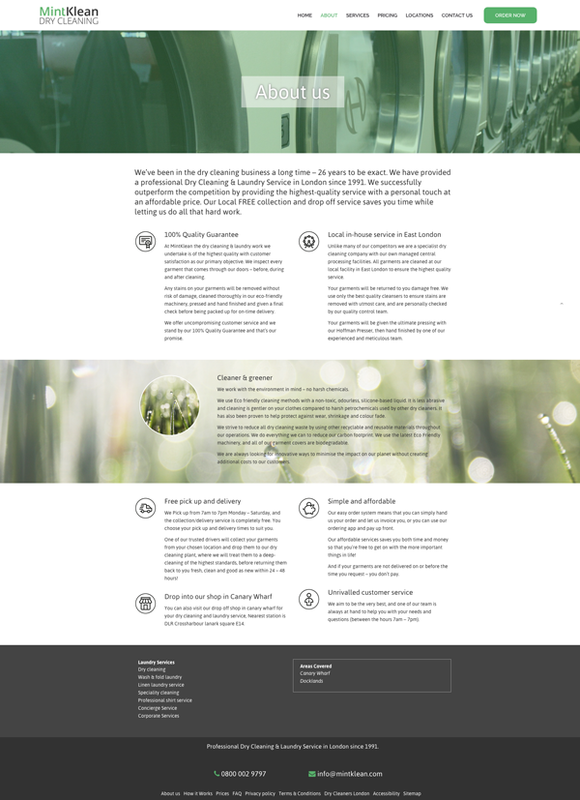 It shows how the sections of the homepage were made more defined and impactful, with higher quality image use throughout the site and meaningful use of icons. 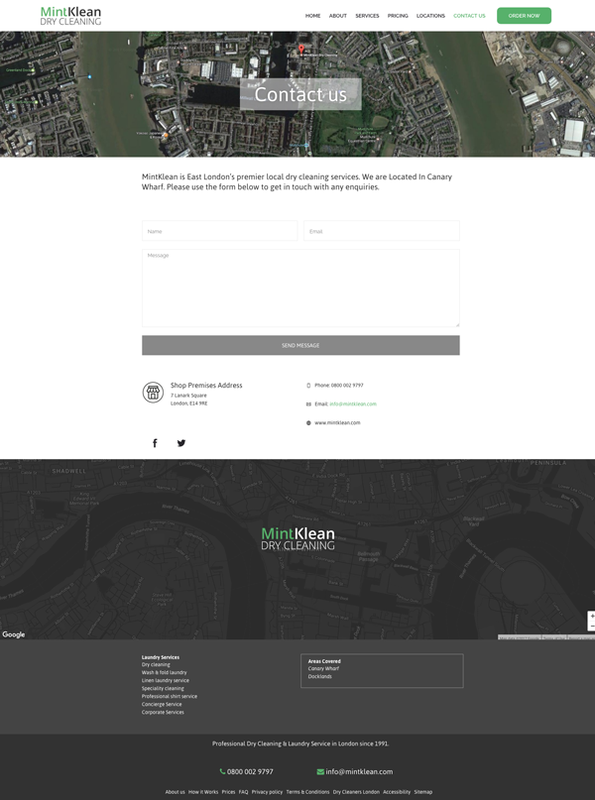 MintKlean needed to update its design and streamline its look across the various pages. 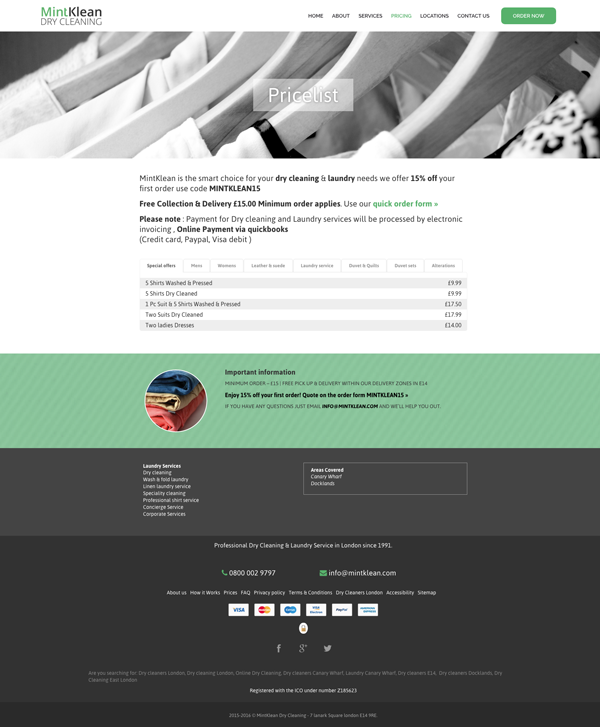 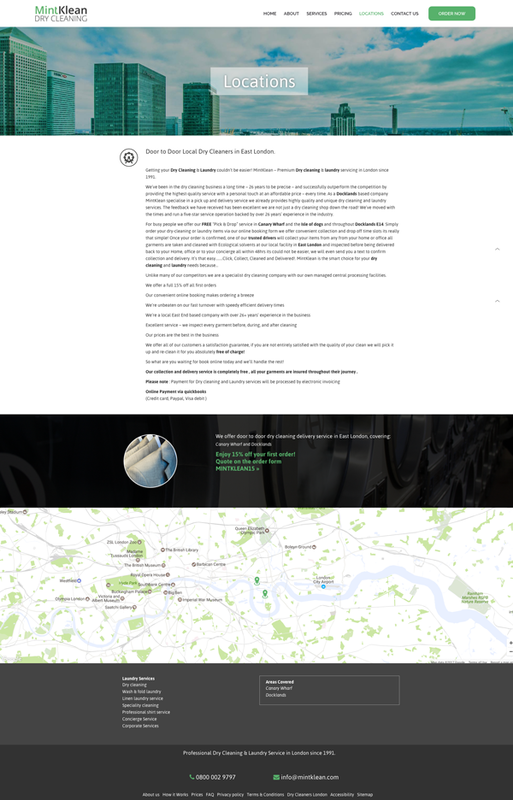 After a few tweaks to individual parts of the site, I undertook to restyle the whole site. 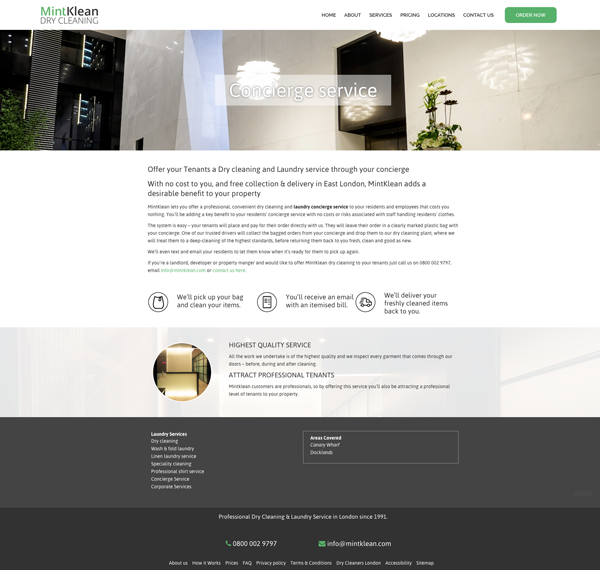 The resulting look, which mixes icons, clean text areas and rich immersive panels, has a clean green feel to it which reflects the eco-conscious goals of the owners.